Were you on vacation last week? 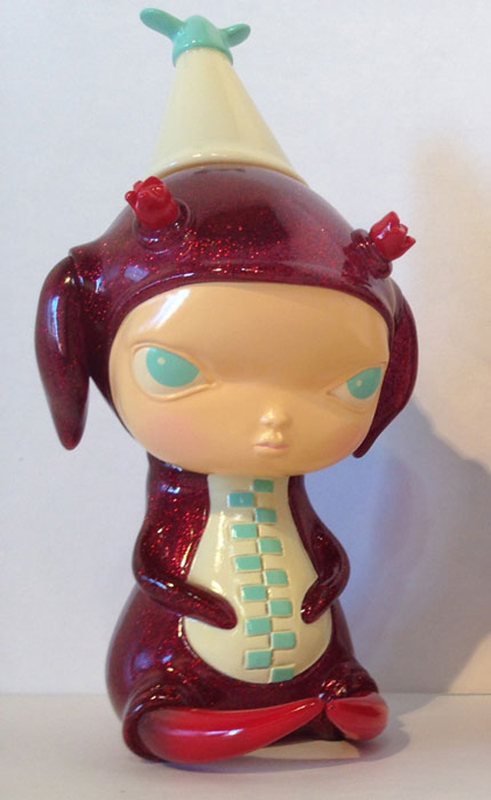 Did you hear about the major sofubi release in the CP Store? 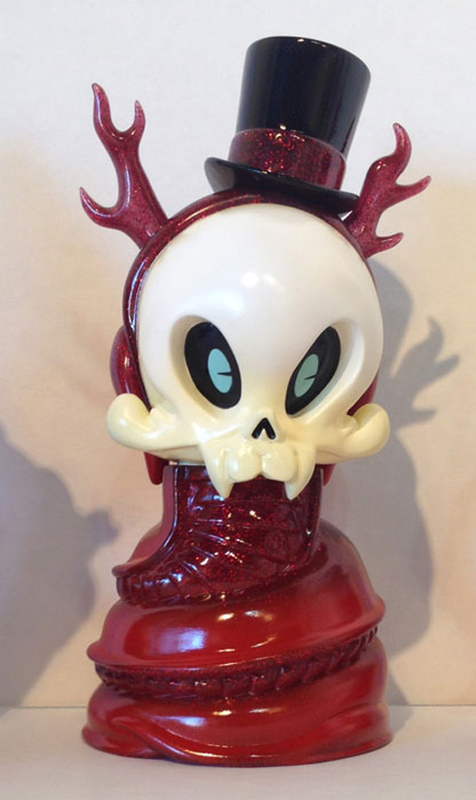 Kathie Olivas and Brandt Peters continued their Circus Posterus x Tomenosuke sofubi collection with red glitter versions of Heathen Snake Skelve, Calliope, and Stingy Jack for the masses! That isn’t all, because there is a little secret with these three that makes them even more epic! Want to know what it is? Well…you can swap out all the heads and bodies!!!! You can create a Heathen Jack, Calliope Snake, and more! it works out perfectly too, with the color way being the same across the board! We don’t have many of these left. 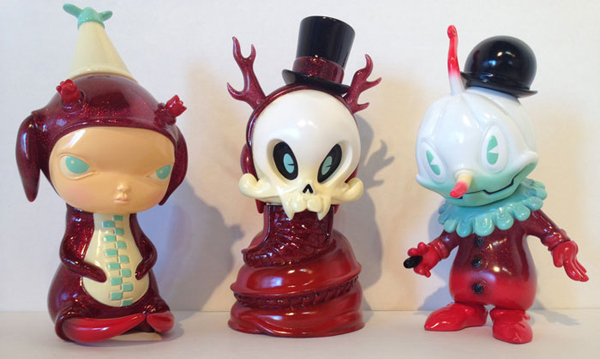 Calliope and the Heathen Snake Skelve are limited to 100 while Stingy Jack is far fewer, and the only way you can get Ol’ Stingy Jack is by buying the sofubi three pack. Pick them all up right here.